When it comes to retail display, we understand the importance of product placement. When invited to enhance a retail space, our focus is simple: how can we create an inviting environment and increase overall profitability? 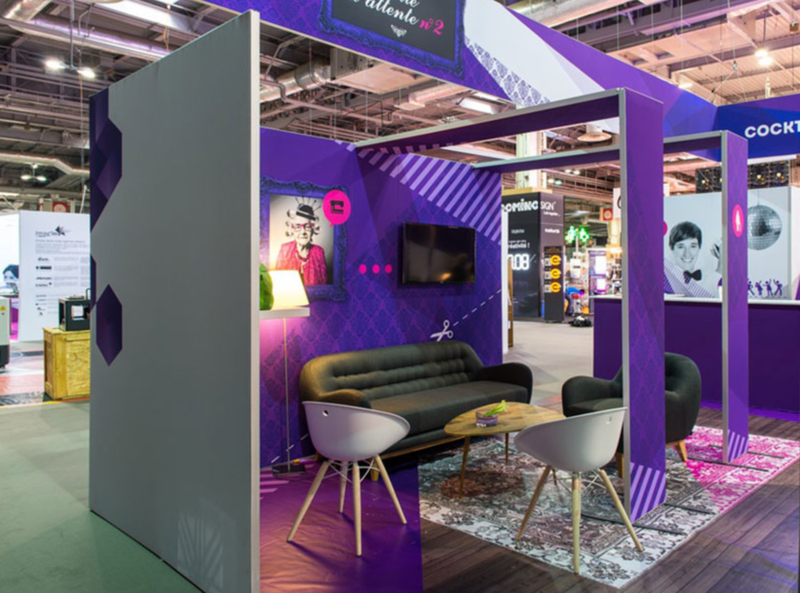 Whether you are looking to purchase individual components to add to an existing environment, improve your in-store branding, or create a portable/modular retail space for trade show display; we are here to help. Our transportable retail display systems add a new dimension to your exhibit. If you participate at consumer or buying shows, most of our hardware systems can be used for trade show applications as well as within your showroom or retail space. Products to be introduced to potential customers can vary from the incredibly small to the extremely large. At times, the product may not actually be a product at all but a service or solution option that needs to be carefully considered in the attempt to market it to qualified consumers. Regardless of its physical form, we are able to create relevant Product Displays that are tailored to exacting specifications while remaining skillfully suited to both their target audience and display environment. When it comes to providing solutions for large spaces and busy traffic retail areas, we have all the components to ensure your display is effective with the highest measure of safety. Long-term spatial components are popular items for showrooms, stadiums, malls and airports. Temporary spatial components are popular materials for meetings, conferences and special events. Every H-line frame module is packed, shipped and delivered with the graphics pre-installed – you just need to connect them! With H-line, you save time and money. A typical H-line trade show booth kit can be set-up by just one person in less than an hour. Panoramic is a revolutionary modular display system that features virtually seamless fabric graphics that completely cover the display structure. Because your graphics and messaging are unobstructed, your display imagery is rendered more powerful. The dye-sublimation fabric graphic revolution. 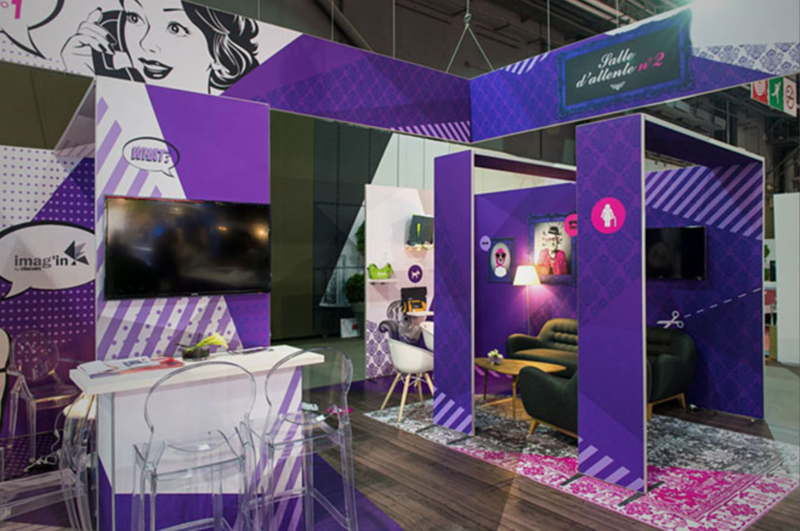 Fabric printing boasts characteristics that make it the ideal choice for trade show exhibits, corporate event displays and retail or showroom decor. Fabric graphics are easy to transport and changeout, durable, machine-washable and give your images an unparalleled level of quality and intensity. Eye-catching visual effects and seamless communication. When 100% of your display structure is wrapped in vibrant dye-sublimation fabric graphics, your branding and message presents a true uninterupted image of quality. A modular display system that packs small. Combining foldable tension fabric graphics with aluminum structures means Panoramic requires minimal space for storage and transportation but still provides the look of solid walls once set-up. Plus, the compact stackable transport cases allow you to pack and unpack the stand module by module. Reduce your installation and logistics costs. With up to 40% less materials than configurations of the same size in other modular systems, set-up time is optimized and crating, shipping and storage of a Panoramic display is more economical. The aluminium structure is 100% recyclable, dye-sublimation printing is solvent-free and Panoramic’s reduced weight and volume limits CO₂ emissions from transport.